Continuing one of the most inspirational runs in program history, Mississippi State baseball closed out the Nashville Super Regional with a 10-6, 11-inning win over Vanderbilt late Sunday night at Hawkins Field. MSU will return to Omaha, Nebraska, and the College World Series for the 10th time in program history and first time since 2013. The Bulldogs won a super regional for third time in program history and won both a regional and super regional on the road for a first time. Following a morning of showers and storms, the Mississippi State women’s tennis team (4-2) completed a sweep of Samford (3-1) 4-0 and UAB (2-4) 4-1 Sunday afternoon on the MSU campus. Facing a 2-1 deficit with under four minutes remaining, MaKayla Waldner gave Mississippi State what it needed to keep going. The sophomore scored her third goal in the last two contests as MSU (7-1-2, 1-1-1 SEC) tied LSU (7-1-2, 0-1-2) 2-2 in a Southeastern Conference match at the LSU Soccer Stadium on Sunday. After playing visiting LSU (2-1, 0-1 SEC) to a 7-7 tie early in the second quarter Saturday night, Mississippi State (3-0, 1-0 SEC) would absolutely dominate the rest of the evening, outscoring the 12th-ranked Tigers 30-0 to post an exciting 37-7 upset at Davis Wade Stadium. Saturday night's 30-point victory marked State's largest margin of victory over LSU ever and was the Bulldogs' first victory over LSU in Starkville since 1999. It was also the largest margin of victory over a ranked opponent by the Bulldogs since 1942 (33-0 over No. 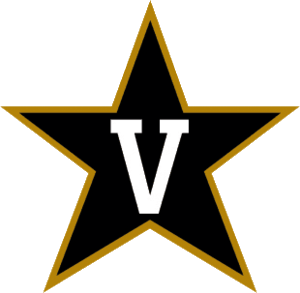 12 Vanderbilt). Bulldogs Are Headed To The Final Four! For the Mississippi State women’s basketball team, the music continues to play and the Bulldogs continue to dance. Behind an NCAA Tournament school-record 41 points from Morgan William, No. 2 seed Mississippi State upset No. 1 seed Baylor 94-85 in overtime to win the Oklahoma City Regional being played at Chesapeake Arena. MSU (33-4) advances to the school’s first-ever Final Four. The opponent will be either Oregon or Connecticut, with the contest set for Friday in Dallas. A grand total of 34 personal records were shattered by Bulldogs this weekend in the Vanderbilt Invitational, and three school records fell during the two-day event. “It’s great to have a second straight home game here after a bunch of road games. It’s great to be back home in back-to-back weeks. Coming off last week’s game, it’s a big challenge for us playing another explosive offense, a team that has a lot of playmakers all over the field. " In a game filled with heavy down pours and lightning strikes, the Mississippi State soccer team (5-4-0, 0-2-0 SEC) couldn’t outlast visiting Vanderbilt (5-4-0, 1-1-0 SEC) in double overtime as the Bulldogs fell, 2-1. For the first time since 1986, Mississippi State football will play a game in the Northeastern United States, while head coach Dan Mullen returns to his New England roots. To commemorate the special occasion, MSU and Adidas unveiled a new alternate uniform, which will be worn when the Bulldogs visit Gillette Stadium for a 2:30 p.m. CT Saturday kickoff against UMass. “Obviously [we have] a big game this week. When you kick off conference play, it’s critical for us to always get that front foot conference game. A lot of the time it will kind of dictate how the rest of the conference season goes -- not always, but a lot. It’s a big game for us, obviously playing a team with a new coaching staff, they have the big advantage of actually opening on a Thursday night, which I know is a huge advantage for a lot of teams. They have a little extra time to prepare for us, a little extra time to get healthy, get well, after training camp and the first game so that’ll be a challenge." Ten home dates and 10 contests against NCAA Tournament teams highlight Mississippi State’s 2015 soccer schedule that was unveiled Thursday. Three NCAA Tournament squads appear on the non-conference schedule as Mississippi State hosts South Alabama and travels to Tampa to face South Florida and Florida Gulf Coast. Riding the momentum of a three-game winning streak and a Liberty Bowl victory to close the 2013 season, Mississippi State football unveiled its 2014 Signing Class with fan events in Starkville, Jackson, Tupelo and Gulfport. STARKVILLE, Miss. – For the Mississippi State women’s basketball team, it was a Super Sunday indeed. Thanks to balanced scoring and a tough effort on the defensive end, Mississippi State knocked off Georgia 80-67 in a Southeastern Conference contest played in the Humphrey Coliseum. After one senior clinched a victory for Mississippi State on Saturday, another stepped into the spotlight on Sunday at the A.J. Pitts Tennis Centre. Malte Stropp handled the pressure with ease, propelling the 13th-ranked Mississippi State men’s tennis squad (4-0) to a 4-2 win against No. 21 Memphis (1-1), punching the Bulldogs’ ticket to Houston, Texas, for the 2014 ITA National Team Indoor Championship, Feb. 13-16. For Mississippi State freshman basketball player I.J. Ready, the thrill of defeating arch-rival Ole Miss was even better in person. Mississippi State ended the year and its 2013 season and year with a fitting celebration Tuesday, ousting the Rice Owls 44-7 to claim victory in the 55th AutoZone Liberty Bowl. The margin of victory was the largest in any bowl game played thus far in 2013. Tip-off is set for 6 p.m., and the game will be televised on ESPNU. The matchup is part of the inaugural Big 12/SEC Challenge, a series of 10 games to be played between members of the opposing conferences. STARKVILLE, Miss. - Mississippi State gave top-ranked Alabama a fight for the majority of Saturday night, but stifling defense and recovery from errors ultimately gave the Crimson Tide (10-0, 7-0 SEC) a 20-7 victory over the Bulldogs (4-6, 1-5). STARKVILLE, Miss. – A dominating second-half performance lifted the Mississippi State basketball team to a 78-55 win against Kennesaw State Thursday night at Humphrey Coliseum. In the second half, the Bulldogs shot 53.3 percent from the floor and expanded a 35-31 halftime lead. STARKVILLE, Miss. – Mississippi State used a dominating inside game to win its men’s basketball season opener Friday night. Gavin Ware posted his third career double-double (15 points and 15 rebounds) and Roquez Johnson added 11 points as the Bulldogs used a strong second half surge to get past Prairie View A&M 71-56 in the Humphrey Coliseum. AUBURN, Ala. – To cap a two-week road swing, the Mississippi State volleyball team (11-13, 2-8) dropped a three-set match to the Auburn Tigers (15-8, 6-5) Sunday afternoon on the Plains. Greensboro, N.C. – Sophomore Ben Wood captured the highest finish of his Mississippi State career on Sunday, as he climbed 14 spots to finish sixth overall at the Bridgestone Golf Collegiate. ATHENS, Ga. – A Sunday afternoon matinee at the Ramsey Center turned into an all out dogfight as the Mississippi State volleyball team (11-11, 2-6) overcame a 2-0 deficit to force a deciding fifth set against Georgia (16-7, 6-5). After fedning off a pair of match points, MSU eventually bowed to the home-standing Bulldogs. STARKVILLE, Miss. – For the first time in school history, the Mississippi State volleyball team (11-9, 2-4) notched consecutive sweeps over Southeastern Conference opponents as it downed the Tennessee Volunteers (8-13, 0-7) in straight sets Sunday afternoon in the Newell-Grissom Building. STARKVILLE, Ms. - State had a close Homecoming win over Bowling Green, with the Bulldogs defeating the Falcons 21-20 at Davis Wade Stadium. WEST POINT, Miss. – Numerous school records fell at Old Waverly Golf Club as the Mississippi State women’s golf team claimed the Old Waverly Bulldog Invitational team title by 21 strokes and Ally McDonald won top individual honors. BATON ROUGE, La. 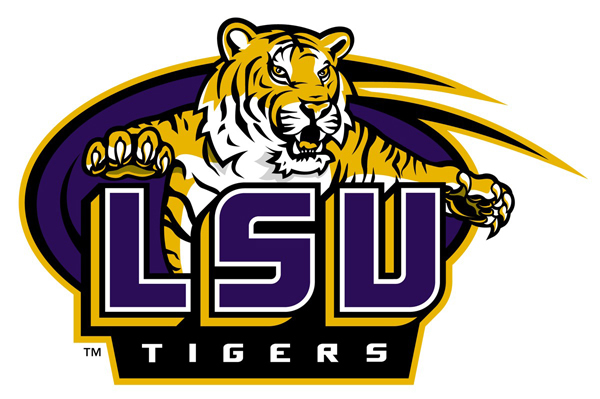 – Elisabeth Sullivan scored two goals in the first 15 minutes Sunday afternoon in Baton Rouge as the Mississippi State soccer team fell 3-2 to LSU in double overtime. STARKVILLE, Miss. – Elisabeth Sullivan and Annebel ten Broeke accounted for all four of Mississippi State’s goals as the Bulldogs wrapped the non-conference slate and the Bulldog Classic with a 4-2 win against Jackson State. In their first home game of the 2013 season, Dan Mullen and his Mississippi State Bulldogs handled the Alcorn State Braves 51-7, moving to 1-1 on the year. OMAHA, Neb. – Mississippi State made its first-ever game at TD Ameritrade Park a truly rememberable experience. Playing in the College World Series for the first time since 2007, MSU knocked off No. 3 national seed Oregon State 5-4 in an opening-round game played before a crowd of 24,473. Omaha, the Bulldogs are coming back. Mississippi State clinched its ninth appearance in the College World Series with a dramatic 6-5 win over No. 6 national seed Virginia Monday afternoon at Davenport Field to clinch the Charlottesville Super Regional. CHARLOTTESVILLE, Va. – Mississippi State saved one of its best offensive afternoons of the season for the perfect time. The ninth-ranked Bulldogs pounded out 20 hits Saturday afternoon at Davenport Field. Highlighted by a six-hit day by Adam Frazier, MSU rolled past Virginia 11-6 in the opening game of the Charlottesville Super Regional. GREENSBORO, N.C. – Call it continued success on the final day of the NCAA East Track & Field Preliminary Round as Mississippi State advanced four more events to the nationals. coming from behind to eliminate Mississippi Valley State (25-32) from the 2013 NCAA Mobile Regional. The Bulldogs close out their 2013 regular season schedule on the home turf this week as Mississippi State welcomes first-time foe Oral Roberts to Starkville for a Tuesday night game before wrapping up the schedule against No. 10 South Carolina in a Thursday -through- Saturday series at Dudy Noble Field. STARKVILLE, Miss. – After the Mississippi State men’s tennis squad learned Tuesday that they would be hosting the NCAA Team Championship's First & Second Rounds for the second-straight season, three Bulldogs have earned spots in the singles and doubles field of the NCAA Individual Championships in Champaign, Ill.
PHILADELPHIA, Penn. – Concluding the largest and oldest track meet in the country, Mississippi State track and field wrapped up day three of the 119th Penn Relays by earning all Top 5 finishes, including one which broke a 3-year-old school record. STARKVILLE, Miss. – Centerfielder C.T. Bradford and first baseman Wes Rea each drove in three runs Sunday to lead No. 8 Mississippi State to a 10-2 victory over second-ranked LSU at Dudy Noble Field. STARKVILLE, Miss. – Mississippi State women’s basketball coach Vic Schaefer saw the defensive effort he wants Sunday afternoon in the Humphrey Coliseum. The youthful Bulldogs held Arkansas to 14 first-half points, a season low, and held on late to post 47-44 victory in the Humphrey Coliseum. STARKVILLE, Miss. – A return home was not enough to lift the Mississippi State women’s basketball team to victory. The Bulldogs competed hard but came up short in an 81-33 Southeastern Conference defeat to No. 16 Texas A&M at the Humphrey Coliseum. 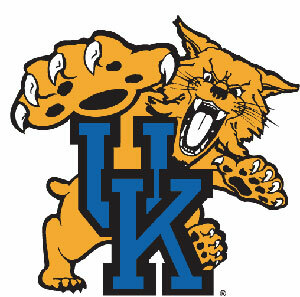 LEXINGTON, Ky. – Mississippi State could not match the offensive firepower of firth-ranked Kentucky. ATHENS, Ga. – Jalen Steele bagged a career high 21 points and Mississippi State won its first true road game of the season Saturday afternoon. Behind a dynamic 3-point shooting night from Steele, MSU pulled away in the second half to post a 72-61 Southeastern Conference victory over Georgia at Stegeman Coliseum. JACKSONVILLE, Fla. – The No. 20 Northwestern Wildcats (10-3) downed the Mississippi State Bulldogs (9-5) 34-20 in the TaxSlayer.com Gator Bowl. STARKVILLE, Miss. – Following an eight-win regular season, Mississippi State’s football team has been invited to the TaxSlayer.com Gator Bowl in Jacksonville. The Bulldogs will face Northwestern in the first-ever meeting between the two schools on the gridiron. STARKVILLE, Miss. –New Mississippi State women’s basketball coach Vic Schaefer has promised a squad which competes with relentless effort and plays hard on both ends of the floor. Fans of the Bulldogs saw all that and a victory Friday night in Schaefer’s coaching debut. Behind a double-double from Martha Alwal, MSU opened the season with a 72-66 win over Houston in the Humphrey Coliseum. STARKVILLE, Miss. - Texas A&M came in known for their high-powered offensive attack and showed it Saturday at Davis Wade Stadium, as the Aggies defeated the Mississippi State Bulldogs 38-13. TUSCALOOSA, Ala. - Simply put, it just wasn't Mississippi State's night. For No. 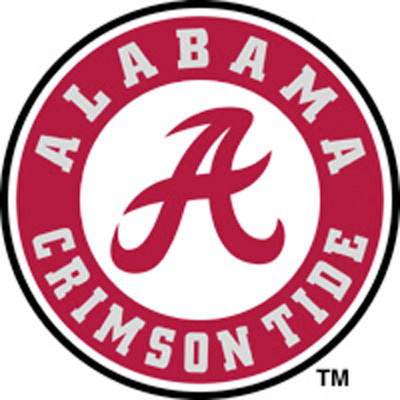 1-ranked Alabama, however, little went wrong, and as a result the Crimson Tide rolled to a 38-7 win against No. 11 Mississippi State on homecoming night at Bryant-Denny Stadium in a battle of the unbeaten. LEXINGTON, Ky. - A record-setting day from senior receiver Chad Bumphis helped lead the Mississippi State Bulldogs (5-0, 2-0 SEC) to victory in Lexington, as they defeated the Kentucky Wildcats (1-4, 0-2 SEC) 27-14. The win gives MSU its first 5-0 start since 1999, when the Bulldogs started 8-0 en route to a 10-2 record and a Peach Bowl victory. STARKVILLE, Miss. - As far as season openers go, Mississippi State couldn't have been much happier. On a muggy evening that saw intermittent rain showers prior to kickoff, the Bulldogs scored early and often en route to an overwhelming 56-9 victory against Jackson State in front of 55,082 fans at Scott Field. STARKVILLE, Miss. – Arnett Moultrie became the first Mississippi State player since 2010 to be selected in the NBA Draft when the Miami Heat took him with the 27th overall pick. People quickly found out that road was paved with maroon bricks. STARKVILLE, Miss. 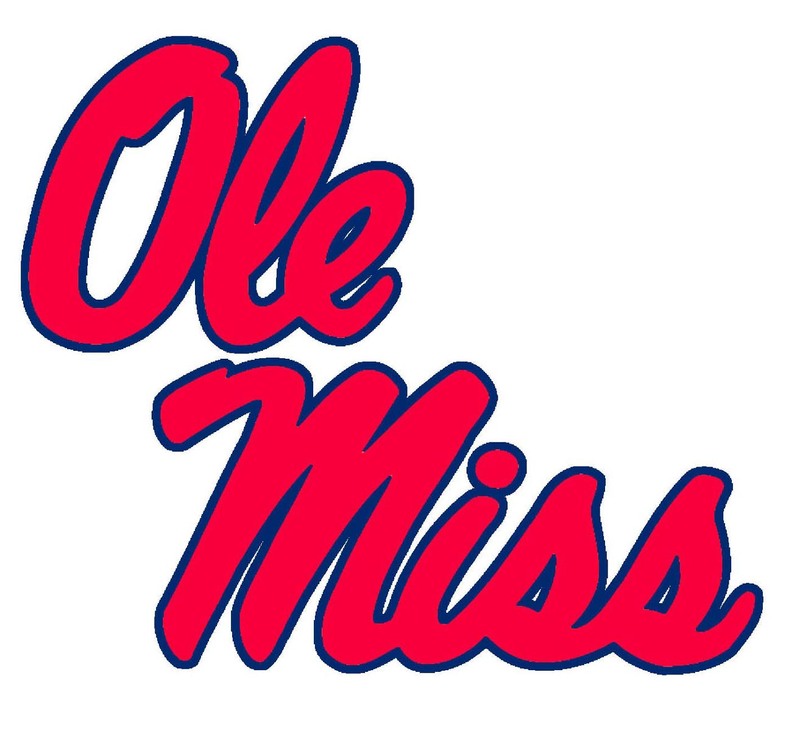 – An uncharacteristic first inning that featured two walks and three hit batters proved to be too much to overcome for the Rebels on Sunday as No. 18 Ole Miss (28-16, 10-11 SEC) fell to Mississippi State (27-17, 10-11 SEC) by a score of 4-2 in the series finale. Fayetteville, Ark. – Good Friday turned into a great Friday at Bogle Park as the Mississippi State softball team (21-18, 5-13 SEC) swept host Arkansas (18-18, 2-14 SEC) in an afternoon doubleheader. The Bulldogs defeated the Razorbacks in the first game of the three-game series, 2-1, before clinching the series with a 7-2 triumph in game two. “I am really excited to be here. Coaching basketball is what I have been doing my entire life. This is all I know and I am ecstatic about being at MSU. BATON ROUGE, La. – Mississippi State junior right-hander Kendall Graveman knew his team needed a lift Sunday afternoon. STARKVILLE – After a one-year absence, Mississippi State finds itself back in the postseason. Sunday night, the Bulldogs, seeded 4th, received a bid from the NIT, and they will play host to No. 5-seed Massachusetts on Tuesday at 6 p.m. in a game televised by ESPN2. FAYETTEVILLE, Ark. – Mississippi State freshman Jerica James performed well in her return home. 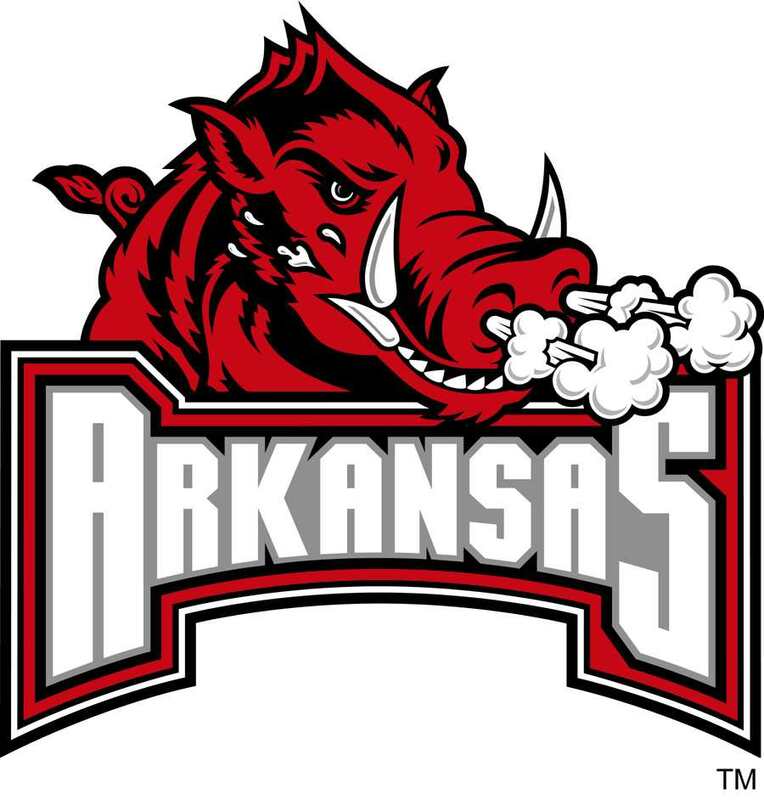 Playing in her native state of Arkansas, James scored a career-high 12 points but did not get enough offensive support as the Lady Bulldogs dropped a 67-53 decision to Arkansas in a Southeastern Conference women’s basketball game played Sunday afternoon in Bud Walton Arena. STARKVILLE, Miss. – Sunday’s trip to Arkansas will be extra special for Mississippi State women’s basketball freshman point guard Jerica James. The North Little Rock, Ark., native makes her first trek back to her home state when the Lady Bulldogs (14-12, 4-9 SEC) meet the Razorbacks (19-6, 8-5 SEC) inside Bud Walton Arena. BATON ROUGE, La. – Mississippi State saw a 17-point lead slip away as the Basketball Bulldogs dropped a 69-67 overtime decision to LSU Tuesday night in a Southeastern Conference men’s basketball game played in the Maravich Assembly Center. Sunday’s battle features the SEC’s leading scorers in Foggie of Vanderbilt and Mississippi State’s Diamber Johnson. Johnson paced the league in scoring most of the season, but in the past few weeks Foggie claimed the top spot. Foggie enters Sunday’s game averaging 17.8 ppg on the season, while Johnson is scoring at a 16.4 clip for MSU. NASHVILLE, Tenn. – On this night, the Memorial Magic was dressed in Maroon. Mississippi State mounted a monumental comeback Saturday night as the 15th-ranked Bulldogs rallied from down 11 points at halftime to knock off Vanderbilt 78-77 in an overtime thriller played in the Memorial Gym. STARKVILLE, Miss. – Fueled by another raucous crowd at Humphrey Coliseum, Dee Bost managed some late-game heroics for a second-consecutive game in another tight SEC matchup as No. 20 Mississippi State rallied late for a thrilling 56-52 victory against Alabama. TUSCALOOSA, Ala. – While the University of Alabama remains proud of Foster Auditorium, the new home of its women’s basketball team, Mississippi State has also found the facility to its liking. STARKVILLE, Miss. – Playing back in the friendly confines of the Humphrey Coliseum, the Mississippi State men’s basketball team returned to the win column. FAYETTEVILLE, Ark. – Mississippi State found the going on the road tough Saturday night. The 15th-ranked Bulldogs dropped its Southeastern Conference opener, falling to Arkansas 98-88 at the Bud Walton Arena. STARKVILLE, Miss. – What started as a list of 60 is now down to 20. On Tuesday, Mississippi State senior guard Dee Bost was named a finalist for the 2012 Bob Cousy Award, which is presented annually to the nation’s top point guard by the Naismith Memorial Basketball Hall of Fame. STARKVILLE, Miss. ­– A pair of Dee Bost free throws with 34 seconds remaining lifted Mississippi State past Utah State 66-64 in the final men’s basketball game of 2011 played in the Humphrey Coliseum. On a night in which Bost scored only five points, his final two were the most important as No. 14 MSU bounced back from a two-point loss against No. 6 Baylor Wednesday night. NASHVILLE - His last game was his best. Donning the Maroon and White for the final time Friday night, senior running back Vick Ballard put the team on his back as he rushed for a career-high 180 yards and two touchdowns to propel Mississippi State to a 23-17 victory against Wake Forest in the Franklin American Mortgage Music City Bowl. STARKVILLE, Miss. - For the third time in four years, Mississippi State will play seven home football games in 2012. The Southeastern Conference released its full schedule on Wednesday, and the Bulldogs will host league contests against Auburn, Arkansas, Tennessee and new conference foe Texas A&M. Mississippi State will travel to Alabama, LSU, Ole Miss and Kentucky. DALLAS, Tex. – Mississippi State came up on the wrong end of a defensive struggle at the American Airlines Center. The 15th-ranked Bulldogs held No. 6 Baylor to 21 percent shooting in the second half but could not pull the upset, falling 54-52 in the second contest at The Showcase Wednesday night. STARKVILLE, Miss. – Mississippi State will try to claim a tournament title to wrap the non-conference slate as it heads to Reno, Nev., to meet Oklahoma State in Thursday’s opening game of the Peppermill Holiday Classic. JACKSON, Miss. – All aboard the Moul-train. Mississippi State junior Arnett Moultrie posted his Southeastern Conference-best seventh double-double of the season Thursday night. Moultrie scored 24 points and pulled down 14 rebounds as the 18th-ranked Bulldogs rolled over Northwestern State 82-67 at the Mississippi Coliseum. STARKVILLE, Miss. – Defending the home court is essential in making a run at the postseason. The Mississippi State women’s basketball team will attempt to finish the home portion of its non-conference schedule undefeated Monday night when it hosts Louisiana-Lafayette in a 7 p.m. tip at Humphrey Coliseum. DETROIT, Mich . – Rodney Hood’s baseline jumper broke a late tie as the Mississippi State men’s basketball team posted an impressive 80-75 win over Detroit Saturday afternoon at Calihan Hall. The 17th-ranked Bulldogs won their 10th straight to move to 11-1 overall. For MSU, it was their first true road victory of the season. STARKVILLE, Miss. – Behind a season-high 23 points from Porsha Porter, the Mississippi State women’s basketball team rolled to a 71-57 victory over in-state rival Southern Mississippi Friday night at Humphrey Coliseum. RUSTON, La. – A late rally fell short for the Mississippi State women’s basketball team Sunday afternoon. STARKVILLE, Miss. - As the holiday break begins on the Mississippi State campus, the Basketball Bulldogs were found sharing the basketball Saturday afternoon. No. 17 MSU placed five players in double figures and dished out an amazing 30 assists in a 106-68 rout of Troy at the Humphrey Coliseum. STARKVILLE, Miss. – A week after defeating Tulane at Humphrey Coliseum, the Mississippi State women’s basketball team looks to make it two-straight against the state of Louisiana on Sunday as it ventures to Ruston for a 2 p.m. contest against Louisiana Tech. STARKVILLE, Miss. – As Mississippi State continues to win, its rise in the polls continues upward. Fresh off the 75-62 victory against Big East power West Virginia on Saturday, Mississippi State moved from No. 21 in the Associated Press poll to No. 17, while jumping six spots in the ESPN/USA Today Coaches Poll from No. 24 to No. 18. STARKVILLE, Miss. - Mississippi State has accepted an invitation to play in the Franklin American Mortgage Music City Bowl, it was announced Sunday evening. 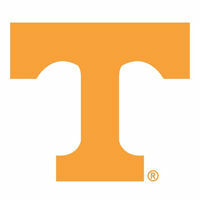 The game will kick off at 5:40 p.m. (CT) on Friday, December 30 at LP Field in Nashville, Tenn. The Bulldogs will face an opponent from the Atlantic Coast Conference expected to be announced later Sunday evening. STARKVILLE, Miss. – Mississippi State women’s basketball coach Sharon Fanning-Otis joined some elite company Wednesday night. Fanning-Otis recorded career victory No. 600 as the Lady Bulldogs won their third straight with a 63-47 victory over South Alabama at Humphrey Coliseum. “Any milestone is always special,” Fanning-Otis said. “It is a reflection of the young ladies, the staff and the fans. I haven’t scored a point in my coaching career. It is a credit to the players for the way they have represented this program." STARKVILLE, Miss. – Welcome back Arnett. After missing a pair of games due to injury, Mississippi State’s Arnett Moultrie returned to the lineup Sunday afternoon. Moultrie scored a team-high 20 points and pulled down a team-high nine rebounds as the Bulldogs rolled past North Texas 82-59 in a men’s basketball game played at the Humphrey Coliseum. STARKVILLE, Miss. - Three straight. And counting. It's been awhile since Mississippi State defeated Ole Miss three times in a row. Nearly 70 years. STARKVILLE, Miss. – There’s little time to enjoy and celebrate Friday’s win, as No. 24 Mississippi State is back in action on Sunday against North Texas. The Bulldogs (6-1) have won five in a row and are looking to start a season 7-1 for the first time since 2003-04, when they won the overall SEC regular-season crown. STARKVILLE, Miss. – The Mississippi State women’s basketball team found reasons to be thankful Wednesday afternoon. Behind freshman Martha Alwal’s third double-double of the season and a season-high 18 points from senior Porsha Porter, the Lady Bulldogs ushered in Thanksgiving weekend on campus by putting away a pesky Mississippi Valley State squad 64-47 at the Humphrey Coliseum. STARKVILLE, Miss. – Looking to start the year 6-1 for the first time since 2004-05, No. 24 Mississippi State returns to action on Friday against Ohio Valley Conference foe UT Martin. STARKVILLE, Miss. – Mississippi State fans can start the Thanksgiving holiday with some hoops as the Lady Bulldog basketball team hosts Mississippi Valley State in a special 12 p.m. tip Wednesday afternoon at Humphrey Coliseum. “Obviously this is the biggest week of the year for us, as it is every year. Rivalry week. I know this game means a lot to our team, our players, our students, our faculty, our fans, the people of Mississippi." COLLEGE STATION, Tex. – Mississippi State saw its modest season-opening three-game win streak snapped with a 93-47 loss to sixth-ranked Texas A&M in a women’s basketball game played Sunday afternoon at Reed Arena. STARKVILLE, Miss. –Mississippi State overcame a sluggish start to post a 66-48 victory over Alcorn State in a women’s basketball game played Thursday night at Humphrey Coliseum. In their fourth trip at Madison Square Garden, the Bulldogs are 3-2 all-time following Thursday’s win against No. 18 Texas A&M. Prior to Thursday, the Bulldogs’ last appearance at MSG resulted in a 63-62 loss to West Virginia in the 2007 NIT semiﬁnals. NEW YORK CITY – Playing for the first time away from the friendly confines of Humphrey Coliseum, Mississippi State battles No. 19 Texas A&M on Thursday in the semifinals of the 2K Sports Classic. STARKVILLE, Miss. –Mississippi State’s Martha Awal posted her second double-double of the young campaign and Diamber Johnson poured in 21 points as the Lady Bulldogs knocked off Xavier 71-65 in a women’s basketball game Monday night at Humphrey Coliseum. STARKVILLE, Miss. – Three days removed from a stellar season-opening win against Jacksonville State, the Mississippi State women’s basketball team continues a three-game homestand as it hosts Xavier Monday night at 7 p.m. at Humphrey Coliseum. STARKVILLE, Miss. - On a cold, breezy night where defensive highlights outweighed offensive highlights, No. 4 Alabama scratched and clawed its way to a 24-7 victory against Mississippi State on Saturday. Yet, the final outcome wouldn't be decided until the 1:18 mark of the fourth quarter, when Eddie Lacy scampered around the left end for a 32-yard touchdown to seal the Tide's fate. STARKVILLE, Miss. – Not only does Mississippi State usher in a new season on Monday against Eastern Kentucky, the Bulldogs officially launch their 100th year of basketball in what will be a year-long celebration. The game at Humphrey Coliseum, scheduled to tip at 7 p.m., is part of the 2011 2K Sports Classic that continues on Wednesday at 6 p.m. against Akron on ESPNU and concludes the following week at Madison Square Garden in New York City against a field that features Texas A&M, Arizona and St. John’s. LEXINGTON, Ky. - Behind a three-touchdown night from quarterback Chris Relf, the Mississippi State football team won its first Southeastern Conference game of the season, 28-16 over the Kentucky Wildcats on a crisp, cool fall night at Commonwealth Stadium. The Bulldogs alternated quarterbacks for most series throughout the contest. On some occasions, Russell started the drive with Relf being used in short-yardage situations. For the contest, Russell was 9-of-12 passing for 172 yards with a touchdown. Relf was 6-of-9 passing for 69 yards with a touchdown and an interception. Relf also contributed to the rushing game with six keeps for 13 yards and a pair of scores. Trailing 3-0 at the half to winless UAB after manufacturing just 118 yards of offense, Mississippi State turned to the sophomore signal caller, who came off the bench to throw for three touchdowns en route to a 21-3 win in front of 28,351 fans at historic Legion Field. ATHENS, Ga. - Turnovers, injuries, and a lack of offensive production kept the Mississippi State Bulldogs from pulling out a win in Athens, Ga., Saturday, a place they have not found victory since 1956. STARKVILLE, Miss. - Two big plays on both sides of the ball within seconds of each other turned out to be the difference for Mississippi State. In an outcome that couldn’t be decided in the allotted 60 minutes of regulation, the Bulldogs turned a nail-biter into a 26-20 overtime victory against Louisiana Tech on Saturday in front of 55,116 fans at Scott Field, most of whom were on the edge of their seats for the majority of the second half. STARKVILLE, Miss . – For three-plus quarters, Mississippi State did an excellent job of keeping LSU’s potent offense out of the end zone . Unfortunately for the No 25 Bulldogs, the Tigers’ D was just a tad bit more masterful . In front of a raucous crowd of 56,925 on Thursday night, the third largest in Scott Field history, No 3 LSU continued its winning ways against MSU with a 19-6 slugfest victory to claim its 12th-consecutive win in this storied series that dates back to 1913 . On a sun-drenched afternoon in front of 87,451 fans at Jordan-Hare Stadium, Auburn extended its nation-best winning streak to 17 with a nail-biting 41-34 victory against the No. 16-ranked Bulldogs in the SEC lidlifter for both teams. MEMPHIS, Tenn. - Talk about ushering in the 2011 season in commanding fashion. Behind an offensive performance that netted a school-record 645 yards, No. 20 Mississippi State scored early and often en route to a lopsided 59-14 victory against Memphis in front a Liberty Bowl crowd of 33,990 to mark its 12th-consecutive win in this series. STARKVILLE, Miss. - The practice schedule didn't end up exactly how Mississippi State head football coach Dan Mullen planned, but the Bulldogs still accomplished what they set out to do during a pair of practices. Forced indoors for the morning session as thunderstorms rolled through the Starkville area, Coach Mullen and his troops adjusted quickly and conducted their workout with a few periods scheduled to be included in the morning practice moved to the afternoon session. 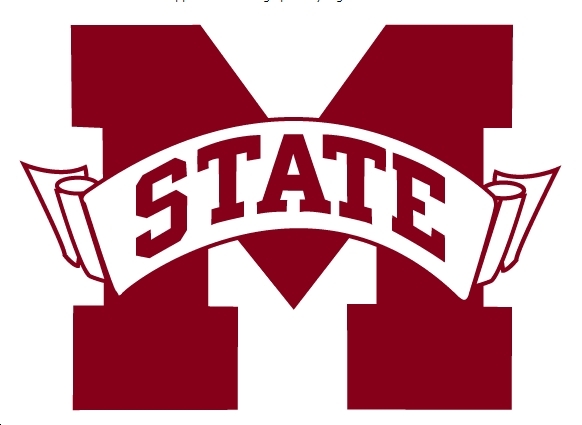 WAREGEM, Belgium – In what was easily its best offensive performance since traveling overseas, Mississippi State had five players score in double-digits on Wednesday as the Bulldogs ran past Division II standout Waregem 109-78 to improve to 3-0 in Europe. Freshman reserve guard Deville Smith once again put on a dazzling performance, as he poured in a team-high 22 points, 13 coming in the second half. Senior standout Dee Bost, who wreaked havoc on both ends and hit clutch shots when the game was still close, totaled 20. ALMERE, Netherlands – Less than 30 hours after arriving to Amsterdam, Mississippi State opened its five-game European tour with a solid 82-70 win against the split Netherlands national team Sunday afternoon at the Top Sports Centrum. And it was a pair of newcomers that led the charge for the Bulldogs, who never trailed in the contest. STARKVILLE, Miss. - After a two days of enjoying practices in headgear only under unseasonably cool weather conditions, the Mississippi State football team turned up the heat - and so did Mother Nature - on Saturday. Again conducting split-squad workouts, two groups of Bulldogs practiced in the morning and afternoon wearing shoulder pads for the first time. STARKVILLE, Miss. – Mississippi State inched one step closer to finalizing its 2011-12 schedule on Wednesday when it learned it will play Texas A&M in the 2K Sports Classic. Tip for the Nov. 17 game at Madison Square Garden is set for 6 p.m., while the nightcap features Arizona’s showdown with St. John’s. Both games will be televised on ESPN2. STARKVILLE, Miss. – Mississippi State has sold every available season ticket for the 2011 football season, Mike Richey, Sr. Associate AD for Bulldog Club and Ticket Operations announced Friday. It represents the earliest announced sellout for football season tickets in school history. Richey indicated 43,518 football season tickets had been sold through the close of business Friday, the final day Bulldog Club officials assigned seats to season ticket holders for the 2011 season. That season ticket figure, which includes 11,000 tickets sold annually to Mississippi State students, is approximately 200 more than a year ago when the school set its previous season ticket sales record. STARKVILLE — The ink isn't dry, but it appears Mississippi State is set to open its football season on a Thursday night. MSU has agreed in principle to move its season opener with Memphis to Sept. 1 to accommodate the Tigers, who are in the process of finalizing plans to air the game on Fox Sports Net. The game was originally set for Sept. 3 in Memphis. The last time Mississippi State hosted a track and field meet, Greg Byrne had been announced as the new athletic director a month earlier and former football coach Sylvester Croom was wrapping up his final spring practice at MSU. I spent an hour with the future of college football the other night. He left me with my eyes wide open and shaking my head with admiration and respect. Brandon Maye officially joined the Mississippi State football program. The former Clemson linebacker was introduced via a press release from the school announcing the fact that Maye has signed an SEC Financial Aid Agreement with the school and will join the team following his graduation from Clemson. GAME NOTES: Humphrey Coliseum in Starkville is the site of today's regular season finale between the South Carolina Gamecocks and the Mississippi State Bulldogs. 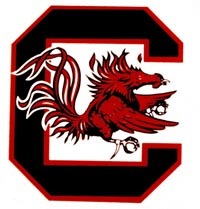 Back-to-back losses have dropped South Carolina to an even 14-14 overall, but there is no doubt that the club's 5-10 SEC record is disappointing. Tennessee ruined senior night for the Gamecocks, as the Vols earned a 73-69 victory in Columbia on Thursday. Now, USC must go on the road where it is just 3-8 this season. Mississippi State was the runaway winner for most improved last season when it came to getting fans in the stands. Copyright 2009-2016 GOSECSPORTS.COM All rights reserved.